The Los Angeles Times’ Matea Gold investigates whether Fox News’ star host Bill O’Reilly is transforming his image as a hard-nosed “contrarian” toward a more mellow news commentator today. O’Reilly urged a national conference of conservatives to refrain from personal attacks on President Obama. He noted that employing fear in politics is a “double-edged sword” that “can lead to violence and heartbreak.” And he declared that he did not believe the president was a socialist, drawing mockery from radio host Rush Limbaugh. “Name-calling gets us nowhere,” O’Reilly replied mildly. O’Reilly still revels in challenging the “far-left media” and Hollywood celebrities, Gold writes, and O’Reilly tells her he hasn’t changed. But he acknowledged “I can destroy lives. And I’m not going to do that until I’m 100% convinced that the person deserves what they get.” O’Reilly’s trademark convictions may be overshadowed by Fox News’ Glenn Beck, their shiny new “lightning rod” and a ratings juggernaut. As for Glenn Beck, O’Reilly made a smart move: He worked with him, making him a kind of “goofy apprentice to O’Reilly’s hardened veteran,” as Gold put it. Earlier this year, the men joined forces for a sold-out live road show, dubbed the “Bold & Fresh Tour.” (Network executives weren’t thrilled, reportedly concerned that it promoted the two personalities rather than Fox News.). What does this mean for Fox News? 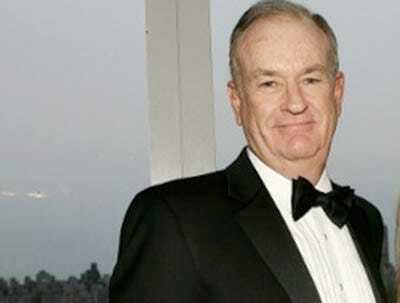 The O’Reilly Factor still gets huge ratings, averaging 3.7 million viewers per night, according to Nielsen. It is also Fox News’ most lucrative show, “evident in O’Reilly’s salary, which is well north of $10 million a year,” according to the piece. He signed a four-year deal in 2008, so O’Reilly is not going anywhere soon.